7 days 5 hours 24 min 38 sec remaining in the April competition. Win a $20 Amazon voucher every month! Create an animation under the theme 'Flight' in the style of your choice, using Moho (Anime Studio) Debut or Pro (any version). An animation of more than 10 seconds is required. The winner will be selected from the top voted entries and awarded with a $20 Amazon voucher! This Moho (Anime Studio) competition is open to everyone. The competition starts on the 1st April 2019 and runs until the 30th April 2019. Voting will end on 31st May 2019 GMT. The full competition rules can be found at the bottom of the submission form (you must be logged in to view). Here are the entries for last month's competition "Flight"
Please vote for the entries that you think should win. "I was so encouraged to find animestudiotutor.com as it is such a wonderful resource for Moho based animators, from the early beginner, to the more advanced. The competitions and our shared files are a great way to learn from each other and the many different ways we solve our animation challenges. I certainly have progressed a lot in the short time I’ve been here, with such friendly critique and advice from other members and through the knowledge base that the AST tutorials provide. I wish I had found this website much sooner. Thank you for providing this fantastic platform for developing and sharing our animation skills." "Thanks for this website, for these contests. It gives me motivation to animate for fun and to learn about animation. Thanks again." "Thank you ANIMESTUDIOTUTOR for inspiring me to make more and more animations every month. Thank you for the opportunity to improve a little bit with every video, and learn from your tutorials. I would like to make more animations one day and make a living of it. In the meanwhile I am learning tips and tricks form amazing animators and applying those tips with my twists in every animation. Extra Special thanks to Jeremy for his patience and support!!!" "I am honoured to have won the Dragon theme competition for my "Gusty the Dragon" cartoon. 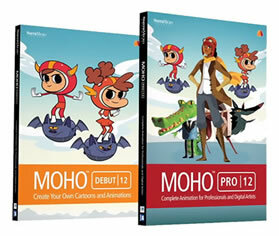 This website and this competition have been extremely helpful in learning more of the features of Anime Studio / Moho software. Without the motivation of these competitions and AST's resources, I would barely be 'scratching the surface' of the software's true potential. Thank you so much!" "I recently had the good fortune to win January's animestudiotutor.com monthly animation competition. If you work with Moho/Anime Studio, I'd recommend regularly visiting the site and entering that month's competition if you are interested. I did, and the $20 prize bought me a nice glossy graphic novel from Amazon! Good luck, and happy animating!" "Thank you for the Amazon.co.uk Gift Card!" "Thank you so much for the Amazon.com Gift Card! I had no idea my Zany Zebra won! I'm so excited and happy-- going to have to make more animations! Thank you for all your time and effort running such a great website, running the monthly contests, and promoting the use/education of Moho." "Thank you for the Amazon.com Gift Card! I thought I had been the first runner up in that competition. What a neat surprise! Thanks!" "Thank you very much! Happy New Year! Keep doing the great job with the animestudiotutor.com. I learned a lot from it and I'm still learning :)"
"Thank you for the Amazon.com Gift Card!" All entries entered between 1st May 2018 and 30th April 2019 will also be considered for our next annual Competition Award! How much of the competition theme does my animation have to contain? The general rule of thumb is, would someone watching the animation know what the theme may have been? If it's not clear what the theme may have been, you may be asked to adapt your entry (if there's time and the competition hasn't ended), otherwise your entry may be disqualified. Do I have to include all the files? Yes, entries with missing files may be disqualified. If you have created your animation with just one .moho/anime file (and not used any external images, fonts etc.) then you can simply upload the single file. (zipped or unzipped). If you have used external files, then you will need to use the 'File' > 'Gather Media...' option in Moho (Anime Studio) to ensure you have all the files. Brushes, fonts and scripts may need to be manually included. (Moho 12+ will create a materials.txt file with the gather media function that should identify these files). Shared files that have missing files will give other users a warning message when they open your file. Please get in contact if you need help with this. Does the file have to be shared under a 'Creative Commons licence'? No. When you upload your files you are given the choice on how you would like to share them. The Attribution-NonCommercial licence is the recommended, but if it contains commercial material/s, then you may select the 'retain full copyright' option. How long does the animation have to be? It depends on the competition. If there are limits, they will be stated clearly in the description. Try to aim for more than 10 seconds of animation if there are no stated limits. Does the character have to be fully rigged? No. You only need as much character rigging as required to create your animation. No. The competition is 100% free for everyone to enter. Yes! You can submit as many files as you like, but please upload each file individually. How do I include a video of the animation in my entry? Before you submit your entry, please first upload your video to YouTube. Then in the description of your competition entry, click the YouTube icon and insert the video ID (11 digits). Please get in contact if you need help with this. Can you upload my entry and video for me? Yes. The upload form is very easy to use, but if you do need help then please get in contact. We can add the rendered video to our YouTube account but it's recommended you do this so you get some followers. Please make sure you have an account here on Anime Studio Tutor before you submit your entry or contact us. Do I need to own a copy of Anime Studio to enter? No, if you do not own a copy of Anime Studio Debut or Pro, then you may use a demo version to create your entry. Demo versions will create a watermark on renders, so please get in contact if you would like us to amend your preview image. Do I have to create everything in Anime Studio? Unless the competition states otherwise, you may create backgrounds or character images in other programs, such as Photoshop, ArtRage, Gimp etc. or even hand draw them and then use bones, layers, points or other methods within Anime Studio for all animation. 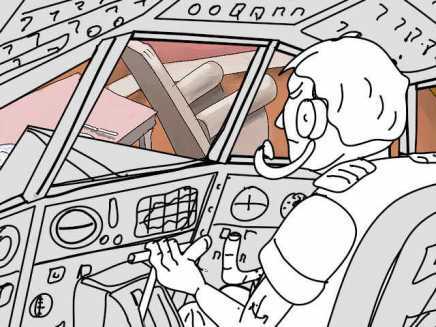 You must not import pre-rendered animation from another program (video or a sequence) as this will not qualify. Can I use a video editor? You should try and do as much as possible in Anime Studio including adding sounds and titles. But if you need to, you may join your rendered Anime Studio scenes in a video editor, but please don't add any special effects in the editor. Do I have to create the artwork myself? Yes. It's part of the competition. Character design and animation is what we're looking for. Please don't just copy or trace other people's work. You can use existing work as an inspiration but please credit those artists/creators if you do.